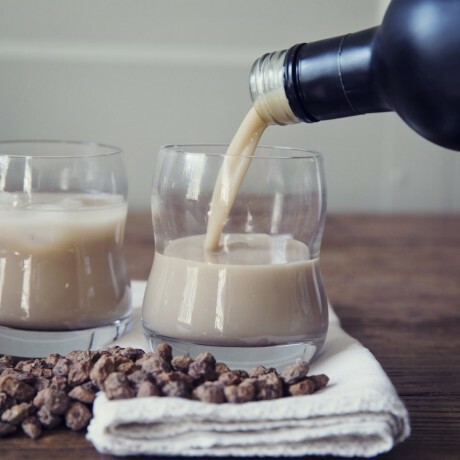 Gluten, dairy, lactose, nut-free and vegan liqueur, a mixture of brandy from Jerez and horchata from Valencia. The horchata, a milky like drink and one of Spain's favourites, is made from the chufa, or tigernut, which is a small tuber that grows naturally underground in Spain and is full of natural health benefits. 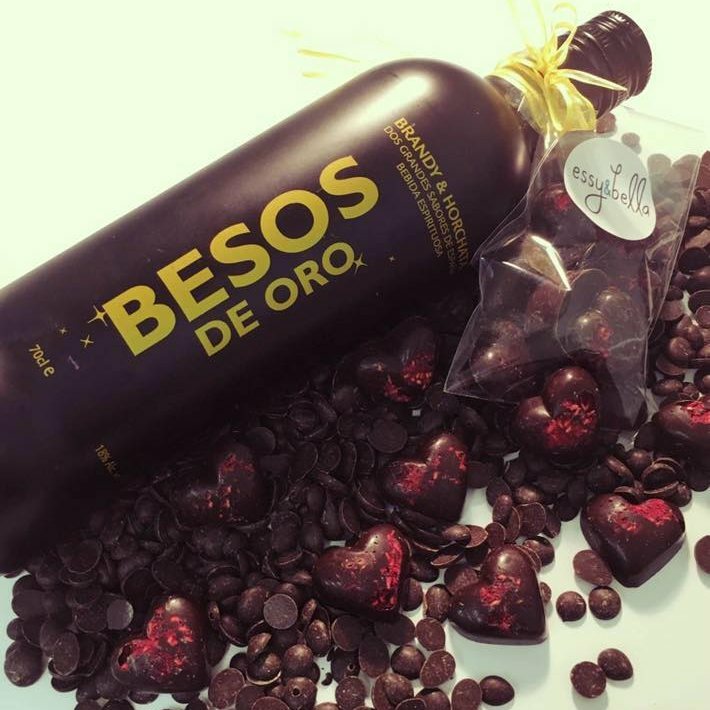 Besos De Oro has taken the horchata and concentrated it, by removing most of the water, then mixing it with a fine brandy, from Jerez in southern Spain. This delicious brandy is soft, smooth and rich with the taste of the century old, oak casks. This exquisite mix, harmoniously blended, gives a drink that is unlike any other. It also goes perfectly over ice cream, crepes and in cakes!